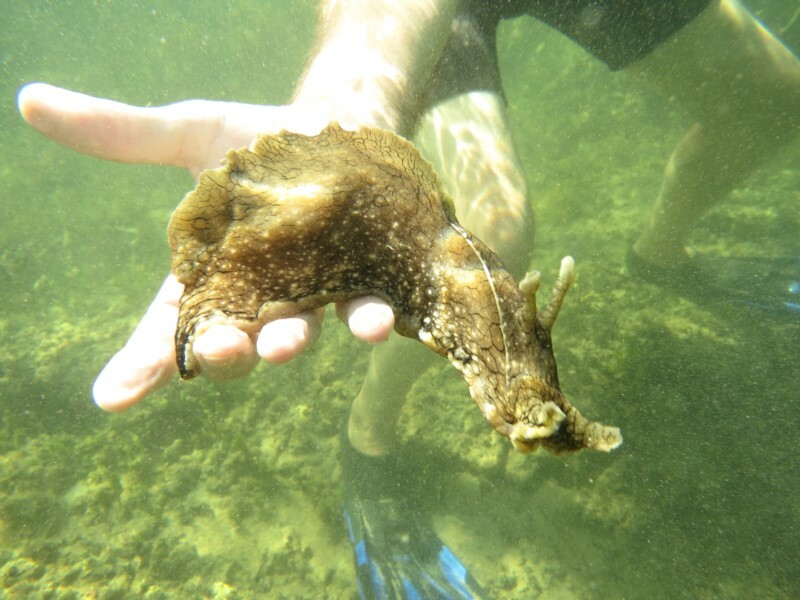 This is the third year of Sea Slug Censuses on this coast and this year we were delighted to have Matt Nimbs down from Southern Cross University in Coffs Harbour to work with us on our Census and to share some of his deep knowledge of these amazing creatures. 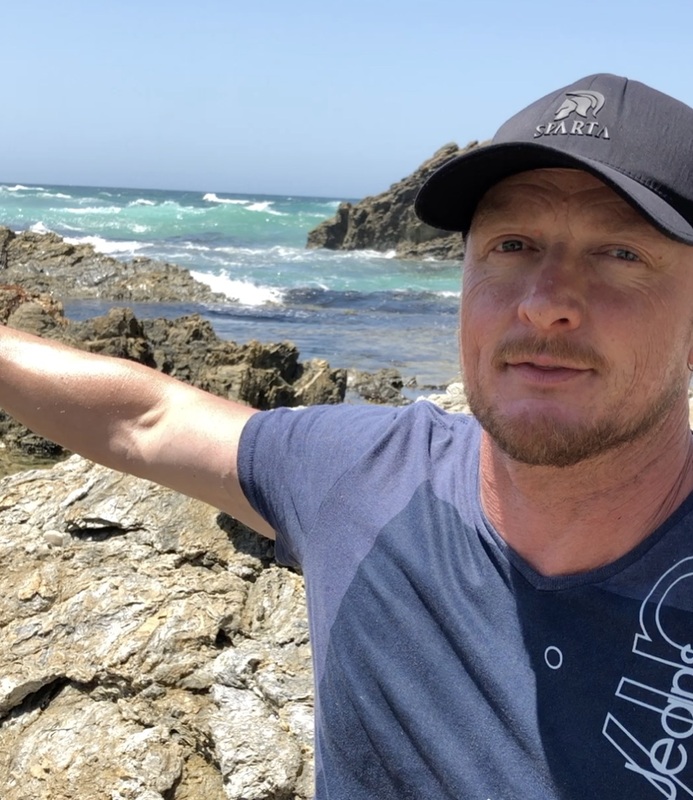 Matt works with Prof. Steve Smith and together they have helped start Sea Slug Censuses around Australian coasts and now abroad – we had a request from Hawaii to join in with us! 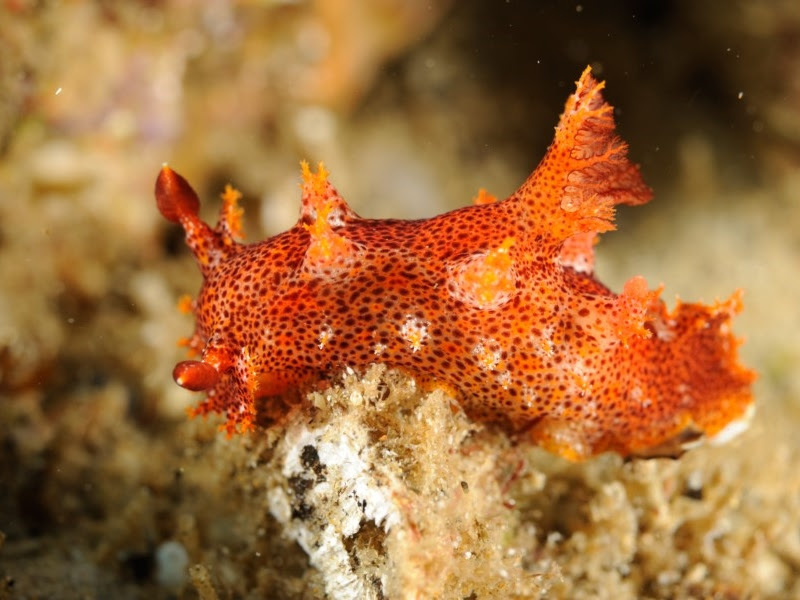 Sea slugs are incredibly diverse creatures, ranging from less than 10mm in length like Elysia australis to really big sea hares like Dolebella which can be 500mm long. They take all kinds of forms, from wonderful camouflage to the gaudiest of colours and shapes for example the cluster of Plocamopherus imperialis that we found under Narooma Wharf. 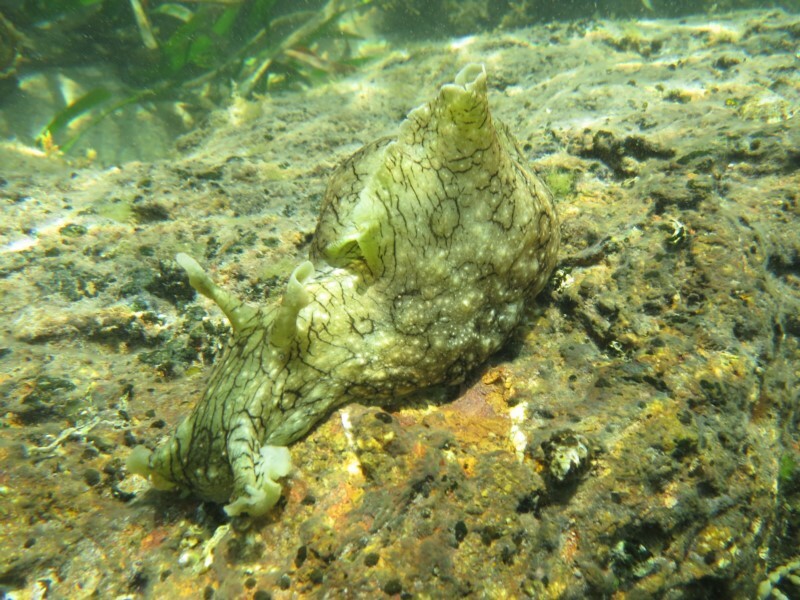 Mostly sea slugs seem to be solitary animals, except when they get together to mate and lay their clusters of eggs, but over time we have discovered a wide range of species in our area. Often they glow like jewels amongst the seaweeds and are really exciting to find. You can see them all on our NatureMapr database which shows where and when they have been found. This year we looked in rockpools and along estuaries, some people snorkelled and some dived, from Green Cape in the south to Bawley Point in the north and we are just now gathering all the information and images together from participants. We will produce a report shortly where Matt and Steve will tell us what is particularly interesting about our finds this year. These scientists want us to find and record what’s living in all the different coastal habitats and what we can find each year. Because of the strengthening of the East Australian Current, they are particularly looking for species which are moving south into new areas, because of warming sea conditions. Last year Robyn Wimbush found a Sea Slug in the Blue Pool which was 600km south of its previously recorded range. Matt gave presentations, about the natural history and diversity of Sea Slugs, in Eden at the Sapphire Coast Marine Discovery Centre and at the Bateman’s Marine Park Office in Narooma for the Nature Coast Marine Group. We organised group searches and snorkels and some people went hunting on their own. Altogether we estimate over 50 people took part in this early season census. We are hoping to organise another later in the year, probably in April, so keep an eye on our Atlas of Life website for details of what’s coming up.